Whether you’re a local or traveling to area, you want to know the best things to do in Camden Maine. You want to know the best things to do for couples and families, for the outdoorsy and indoorsy, for seafarers and land lovers, – in short, there is something for everyone to love in the area. 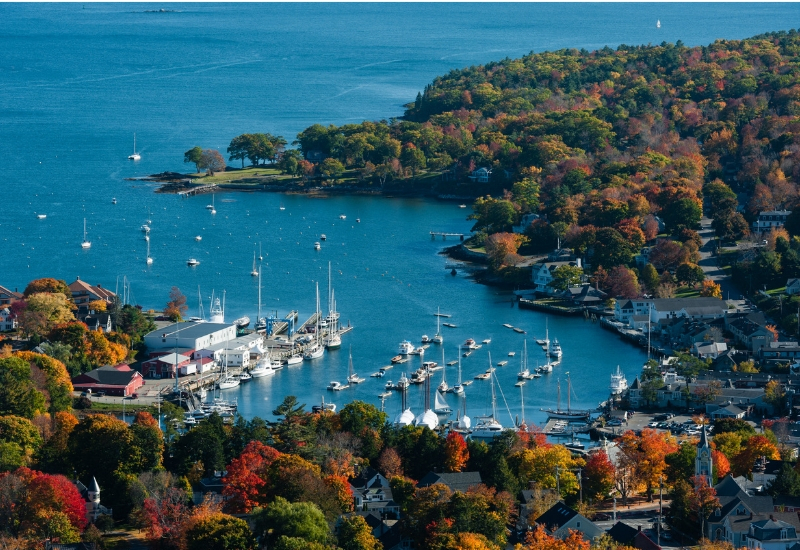 Camden, Maine is an idyllic, seaside town on the Maine coast. 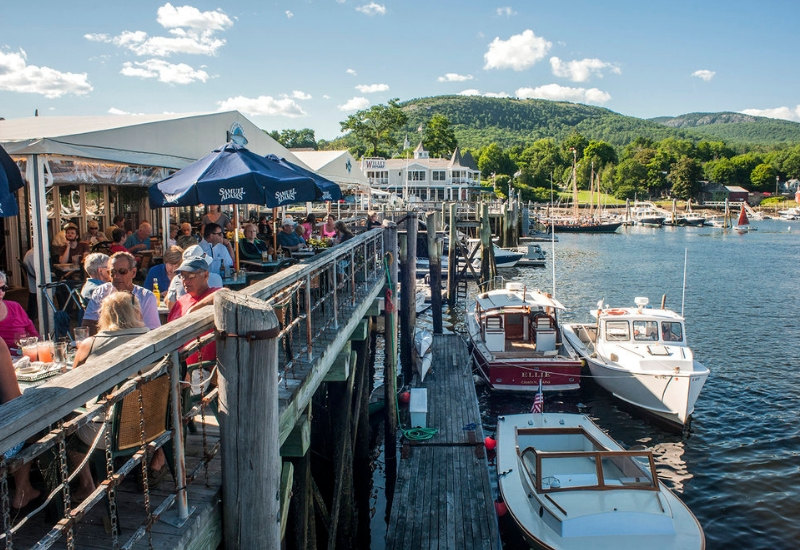 Located in mid-coast Maine, what makes Camden so unique is how the mountains meet the sea. 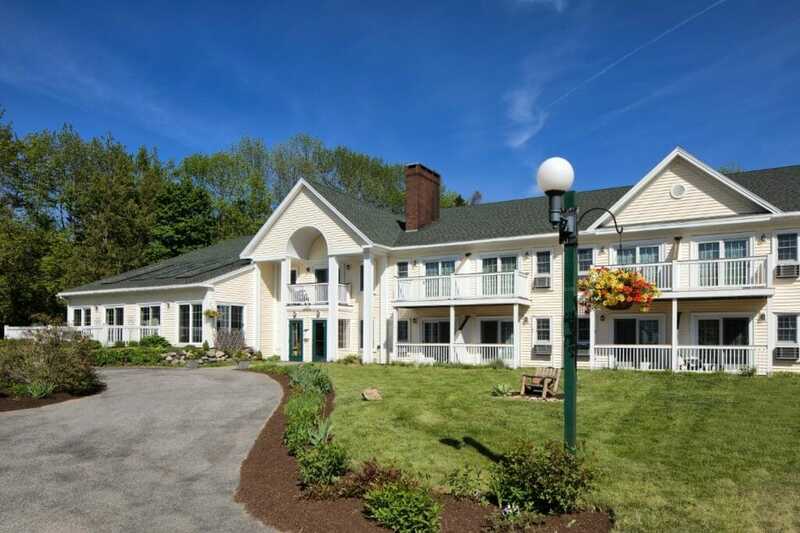 You can enjoy the beautiful views of Mount Battie while simultaneously enjoying views of Penobscot Bay. 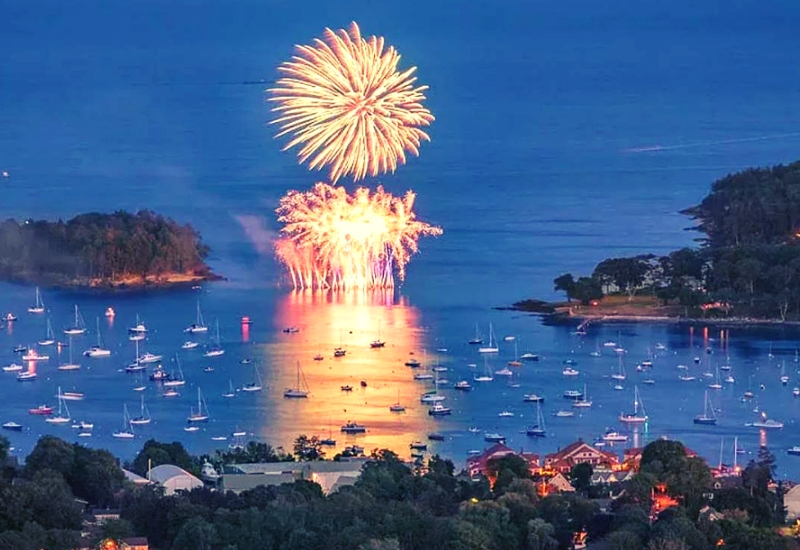 The best activities in Camden, Maine come from embracing everything that makes Camden unique and beautiful. Request our full vacation guide to Mid-Coast Maine. 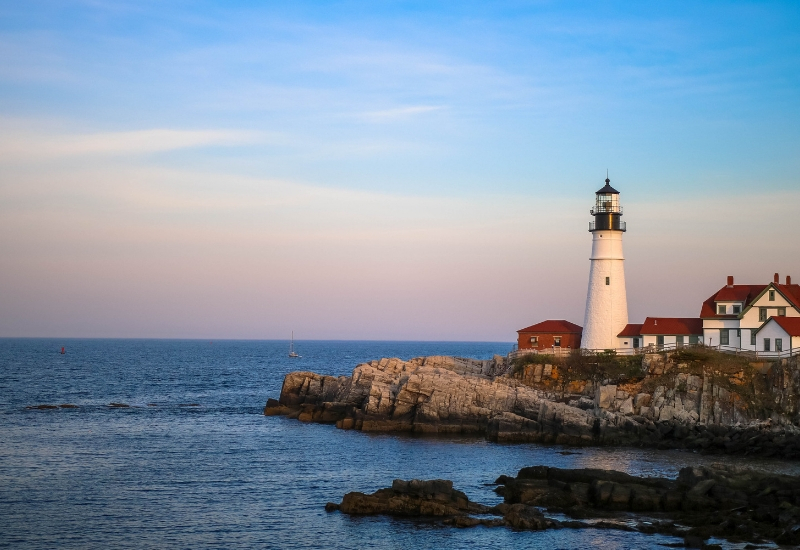 All the amazing things to do in Mid-Coast Maine in one free guide. For great views, hiking trails, picnic areas, and of course, Mount Battie, you’ll want to visit Camden Hills State Park. On a clear day, you can see all the way to Cadillac Mountain in Acadia National Park. And on an average day, you can enjoy sprawling views of the various bays and islands off of the main land. 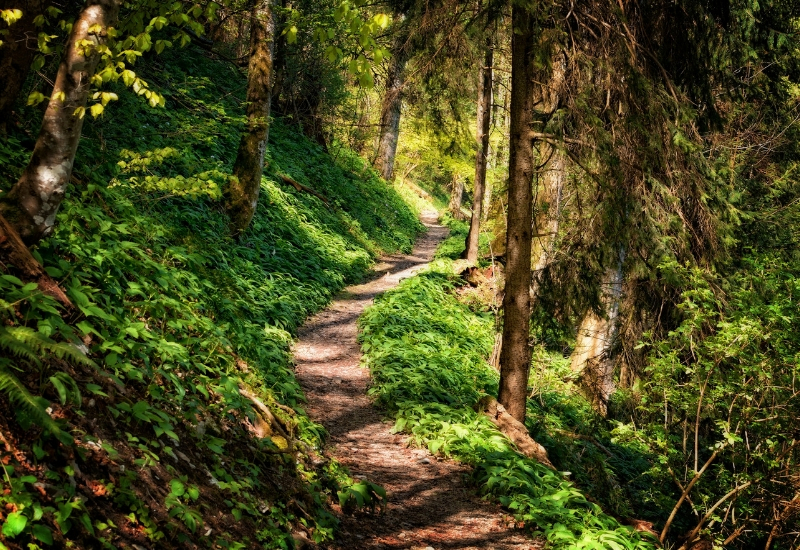 If you’d like to hike Mount Battie while you’re in Camden Hills State Park, many who have experienced the trail claim that is is decently accessible to all people, with a few steep areas that earn it a moderate rating. It is a 1.5 mile loop where you’ll see lots of wildlife, wildflowers, birds, and of course, the amazing views that encircle the mountain. There’s also the Camden Snow Bowl. The Camden Snow Bowl is a community owned ski resort. It is the only ski resort with ocean views making it a one-of-a-kind experience. In the winter, visitors can enjoy winter sports such as skiing, snowboarding, and even tobogganing championships. In the off season, Camden Snow Bowl offers hiking trails, tennis, rides on the lifts, camps, and more. Nothing says spending time on the coast like putting your toes in the sand on a beach. Laite Memorial Beach is a great beach for paddle boarding, kayaking, swimming, as well as taking a stroll and searching for shells when the tide is out. This is a perfect beach for spending the day and enjoying being on the Atlantic coast. Or maybe you’d prefer a freshwater beach? Then you should check out Barrett’s Cove at Megunticook Lake. This local treasure is well-known to locals and oft-missed by tourists. Besides a freshwater swim, you’ll enjoy excellent views of the west side of Camden Hills State Park. To enjoy a little friendly competition, you’ll love Golfer’s Crossing. Open seasonally, mini golf is a crowd favorite and is great for all ages. So grab your putter and head out to see what par you’ll get against the windmill. Take to the water by renting a boat and heading out into the harbor. If you prefer to enjoy a schooner ride with a picnic on one of the many islands in the bay, you’ll love a vessel made especially for smaller groups like the Schooner Simplicity. Or maybe you’d like to take in the excitement of a real, working lobster vessel. If so, you’ll want to hop on Captain Jack’s Lobster Boat Adventure. You’ll get an up close and personal view of a working vessel. This video will show you a little of the experience of sailing on a windjammer. There’s nothing like fresh, local seafood or a killer lobster roll. And it’s even better when it’s made by a family-owned business with no pretensions. Mount Battie Take Out is a seasonal take-out restaurant which is revered far and wide for its lobster roll. If you’re looking for a diner feel with fresh, blueberry pancakes or delicious lobster roll, look no further than Marriner’s Restaurant. You know the food is good when people are willing to wait in line for it, and often during peak hours, you’ll find a line waiting to get into Marriner’s. And if you want to kick it up a notch and partake in a fancier affair, you’ll enjoy Natalie’s, a unique dining experience that overlooks the harbor, in addition to offering a culinary vacation – locally sourced and fresh ingredients for a full-flavored experience. While you’re on the coast, you just have to partake in the amazing and locally sourced seafood. You can do this at Waterfront Camden, where you can enjoy seafood that’s been caught locally. Meat, seafood, and more are all sourced locally and daily to bring you food at the height of it’s flavor. There’s nothing like a good festival to get the toes tapping and the spirits up, diving into community and local culture. Kicking off summer, there’s the Jazz in June festival in Camden. Jazz in June is a 3-day music festival held in various venues all over town as well as in the streets. You’ll love listening to the great jazz music and exploring the different venues, all at once. To wrap up summer, there’s the Camden Windjammer Festival on Labor Day weekend. Food, live entertainment, and the holiday weekend are just the tip of the iceberg. There’s also a treasure hunt, make-your-own mini boats, and the sailing of schooner fleets. And, you can see their live updates here. Summer isn’t the only time for great festivals in Camden. The Christmas by the Sea Festival is a 3-day festival to help get you in the Christmas spirit. From caroling to shopping, from a live nativity to a rocking parade, the Christmas by the Sea Festival is a can’t-miss. And speaking of great winter festivals, every February you’ll love the U.S. National Tobogganing Championship. This competition isn’t just for professional teams – although it’s definitely that! – but prizes are also awarded to the oldest team, the best costume, and more! Unique architecture and historic sites are always popular destinations. In Camden, you’ll find the High Street Historic District. High Street is listed on the National Historic Registry and maintains standards on its buildings to comply with 18th and 19th century designs. It’s like walking down a street to the past. If you prefer to spend your time in the Revolutionary Era, you can visit the Henry Knox Museum. You’ll catch a glimpse of the hustle and bustle of this by-gone era. And what would a visit to the Maine coastline be without seeing a lighthouse or two? In Camden, you can see the Curtis Island Lighthouse. Established in 1836, this lighthouse is a part of a public park. It is not open to the public but can be viewed by boat or from the Curtis Island Overlook. 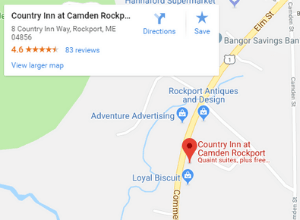 After you’ve had a chance to explore beautiful Camden, Maine, we invite you to stay with us at our Camden Maine Hotel. We love serving our guests and making hospitality our number one priority. You’ll love the country-style breakfast, the heated indoor pool, the on-site spa services, and the amenities that take each stay from ordinary to extraordinary.